Other than the painful exhaust tip scrape, things went better than expected with that loading method. 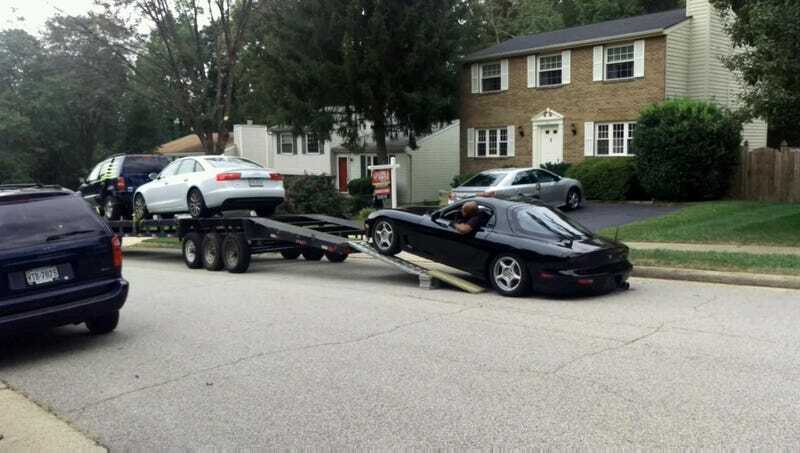 The transporter came to get the car to deliver the Mazda to its owner yesterday. I wish him luck getting the hood open. I’ll never forget the five minutes we had together, FD.